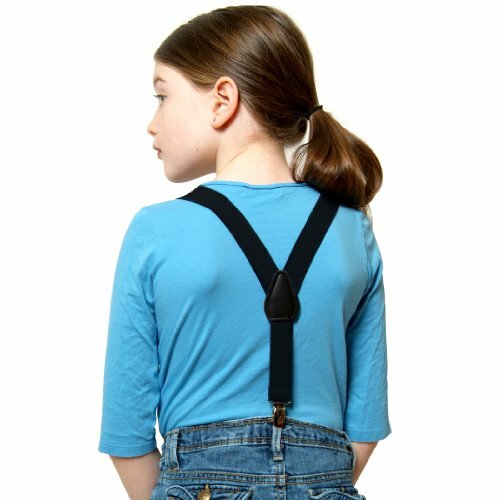 Dress them up in style with these Hold'Em Kids suspenders, perfect for all ages: babies, toddlers, and kids! Just choose the right size and the color you wish and you will be delighted of your child's adorable appearance. 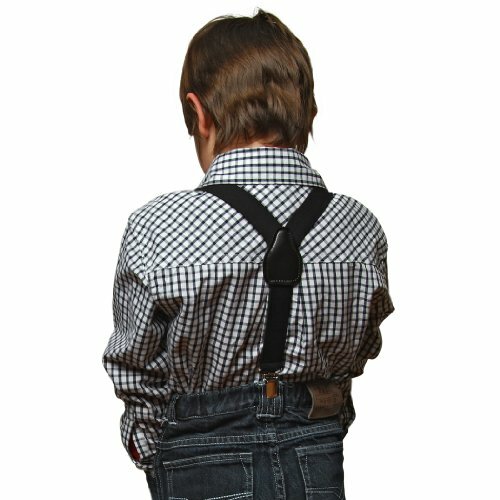 His or her pants will no longer fall down. 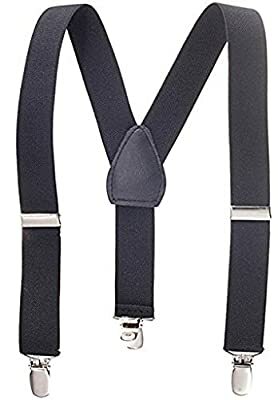 This features a soft Leather piece construction that adds great comfort Ideal for everyday use and great hold up. 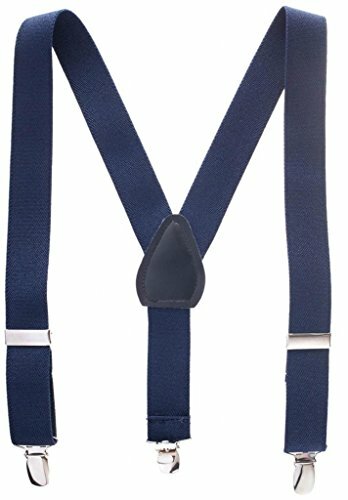 These quality suspenders are sturdy and practical. 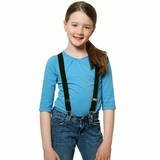 Sizes/Colors: These suspenders are available in a wide variety of 21 colors to mix and match your child's different outfits for every occasion, and comes in the following three sizes: • Extends to 22" .......... 8 Months to toddlers • Extends to 26" .......... Toddlers to 9 years. • Extends to 30" .......... 9 Years to about 5 ft. tall. Material: 100% Polyester with soft genuine leather crosspatch. Care: Machine washable. Excellent gift idea for any occasion. Great for boys and girls alike! . Plastic insert on J-Clip metal closure to protect your clothing Great for babies, toddlers and kids, boys or girls alike Available in 27 Colors to best meet your taste and child's wardrobe 22" for 7 month to 3yrs, 26" for 3 yrs to 9 yrs, 30" for 9 yrs to 5' tall Easy to attach clips with a Y-back design, No more falling pants!